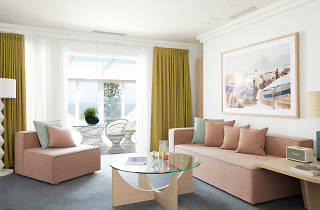 Nostalgia reigns in the 12 redesigned rooms at Hotel Ravesis on Bondi Beach. 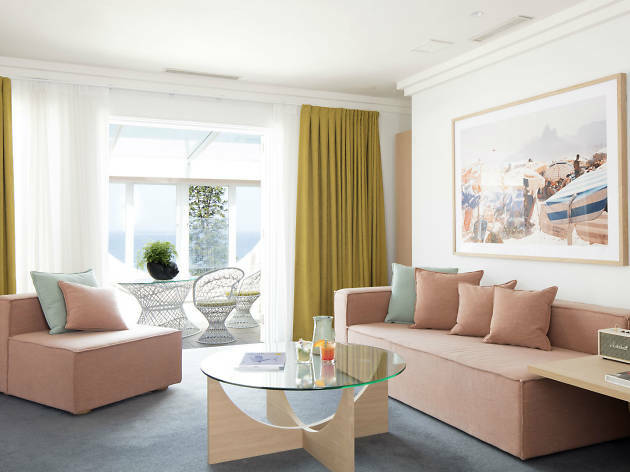 The individually styled suits feature local products in the bathroom and at the mini bar, and unusual in-room purchases such as silk eye masks in tropical prints or hand-drawn playing cards. The venue prides itself on beach views, local knowledge and a retro-Caribbean atmosphere. Read about Hotel Ravesis bar and restaurant.